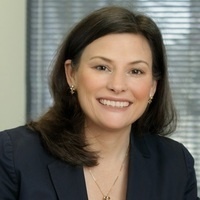 UAB Center for Exercise Medicine will host Alison Cernich, Ph.D. – Director of the National Center for Medical Rehabilitation Research (NCMRR) at the Eunice Kennedy Shriver National Institute of Child Health and Human Development, National Institutes of Health. Dr. Cernich will deliver a lecture on “Rehabilitation Research at NIH: Programs and Opportunities” from 12 p.m. to 1 p.m. at the UAB Wallace Tumor Institute - Room 101. Lunch will be provided. There will also be a poster viewing session from 1 p.m. to 2.30 p.m. that highlights – informative posters of UAB research programs relevant to medical rehabilitation, and research of NCMRR T32-funded trainees. Following the poster session, there will be a Q&A session from 2.45 p.m. to 3.45 p.m. – where medical rehabilitation researchers and prospective NCMRR applicants get a chance to interact with Dr. Cernich. This is a great opportunity to get insight into medical rehabilitation research and exchange your ideas with a national leader. So, please plan to attend. Registration is free, and lunch will be provided for those who have registered.